The route starts and finishes in the town centre before heading out on to the quiet country roads and trails around Chippenham on a predominantly flat course. The event sold out in 2017, so get your entry in early to this great event. The race starts at 1930 to give competitors plenty of time to get to the start line after work. Please note there will be no on the day entries available. As with previous years there is a big prize fund up for grabs. There will also be prizes for category winners in Vet’s, SupVets and SupVet 60. • Distance markers every km. • Medal for all finishers. • Results screens and Result Print Outs. • On-site toilets and showers. • Medal now with optional iTaB (see below). In 2018 for just £8 you can have your medal personalised with your name, position and finish time and if you’re keen, your splits too. Your details and results will be engraved on a small plate which fits neatly into the back of your medal. See itab for an example. Online entry price: £18.00 affiliated, £20.00 unaffiliated. Please note there will be no day entries available for this event. If you would like to make the Chippenham Longest Day 10k a club race, please contact us for more details. Please contact James on 07929 059 796 or james@dbmax.co.uk to register your interest. To view the Longest Day Chippenham 10k route, please click HERE. Parking is available in one of the town centre car parks just a short walk from the race start and finish. Available car parks are – Emery Gate (SN15 3JP), Borough Parade (SN15 3WL) or the Train Station (SN15 3QQ). Registration is from 17:30 and will close 15 minutes before the race start. The race briefing will take place ten minutes prior to race start. Race numbers and timing chips will be posted out in advance of race day. There are no official cut off times for the event, but the event marshals will be removed from the course after 90 minutes and anyone taking longer than this will have to make their way back safely themselves. The DB Max event team look forward to welcoming you to Chippenham on Race Day. 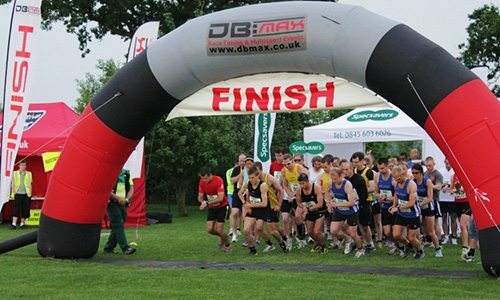 If you have any questions or queries regarding the Chippenham Longest Day 10k, then please do not hesitate to contact James Higgs on 07929 059 796 or james@dbmax.co.uk.